This collection of 100% natural creations combines artisan botanical perfumery and unusual concepts. Handmade with carefully sourced ingredients and original recipes. I immediately scoured the internet to get the lowdown from other perfume blogs. Nothing but rave reviews on what seems to be the top three scents: Moss & Ivy, Decadance & Debauchery, and Winter Kitty. I immediately placed my order of samples and it arrived in 3 days! The packaging was beautiful and you can tell that this company takes great care in what they do. Along with each vial, there was a description card and a story that inspired the creation of the scents. Description: Moss and Ivy has a deep green, earthy base with sweet herb garden top notes that will send you on a sensory hike through the woods. This blend of essential oils and plant absolutes extracted from leaves, roots, resins, woods, and petals creates a close connection to the peace and energy of the forest. This blend is full of herbs, woods, and oakmoss with subtle blooms and citrus. Imagine an entire forest squeezed into a tiny glass bottle. Notes: Rosewood, Bergamot, Oakmoss, Cedarwood, Basil, Rosemary, Lavendar, Petitgrain, Mandarin, Clary Sage. From the Vial: At first sniff, I get a mixture of Vicks Vaporub and Namman Muay. 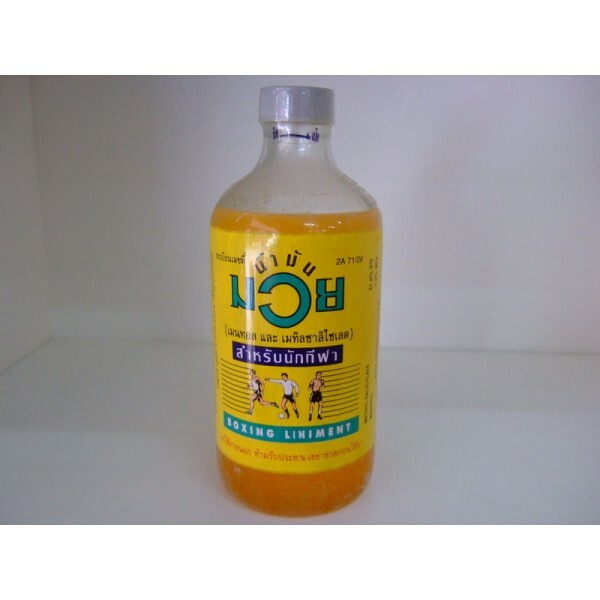 In case you don’t know what Namman Muay is, it is a Muay Thai boxing linament oil that smells NASTY! 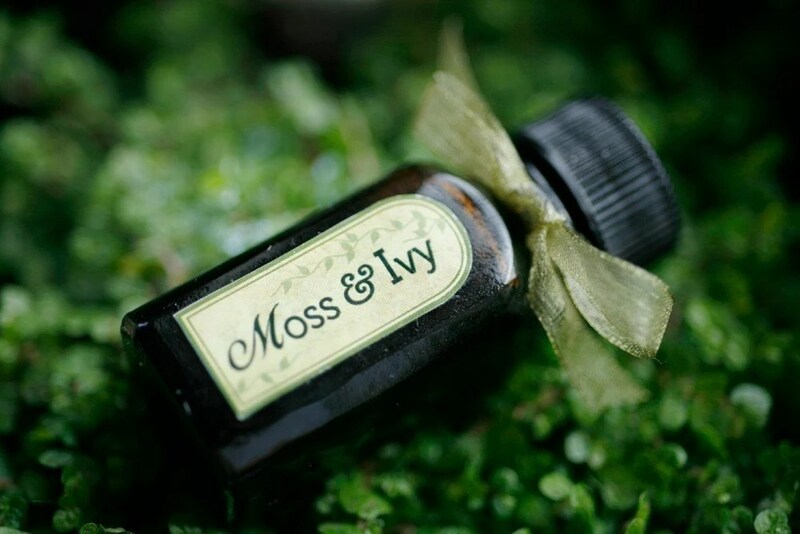 First impression of Moss & Ivy…very medicinal! Wet on Skin: I still don’t get hiking through the woods but being in a Muay Thai Boxing Ring with a chest cold. I’m starting to get a headache from the smell. Dry down: I gave it the benefit of the doubt hoping it would morph into something wonderful by melding with my body chemistry. After 30 minutes, I still get the medicinal smell and my head began to throb. This is a strong fougere, and it doesn’t want to morph on me. The rosemary seems to be the overpowering note. Next is Sage and the cedarwood. I long for the citrus and florals to come out of hiding but to no avail. After an hour, I couldn’t stand it any longer, my nose needed some sweet relief from a floral so I sprayed Issey Miyake’s L’eau D’Issey Florale. And you know what? For Strange Women’s Moss & Ivy and L’eau D’Issey Florale makes a great combo! It smells like fresh bloomed roses in a forest! Sillage: Before I bastardized the scent with a commercial perfume, the sillage of Moss & Ivy was very poor. This is to be expected as natural oils tend to stay close to the skin. Longevity: After 4 hours, I could still detect a faint smell of Moss & Ivy underneath the L’eau D’ Issey. Would I buy a full bottle? If I want to smell like an injured Muay Thai Boxer, I would. Otherwise, no. It does smell divine with L’eau D’Issey Florale and does create a very unique scent. But I’m not so sure I want to spend $30 for a perfume that you can’t wear alone. Season and Occasion: All year. Night or Day. Final Verdict: Strong fougeres don’t agree with me. Just because it doesn’t agree with me doesn’t mean it won’t work for someone else. It did have rave reviews with other perfume bloggers. Doesn’t hurt to try. For those who want to smell like a chinese herbal shop. I got my samples! I tried Winter Kitty yesterday but didn’t get too many opportunities to sniff it again once I put it on, so I’m not sure how I feel about it. Today I’ve got Moss & Ivy on my wrists. So interesting… I wasn’t sure how I would feel about it, but to my surprise I don’t find it unpleasant. Then I came here to comment; when I reread the description “herb garden” I thought, aha, that’s what it’s reminding me of. I can’t pick out individual herbs, but there is a generally pleasing feel to this scent that makes me think of breathing in the unidentifiable crushed herbs underfoot on a garden walk. Smells good, but I’m not sure it’s something I’d want to wear… and I guess that’s how I feel about Moss & Ivy. One thing for sure, I’m really impressed by the naturalness of For Strange Women’s scents. They don’t have that fake-perfume-oil haze at all, which is something I haven’t liked in other oils I’ve tried. Thank you for your review of Moss & Ivy! I must revisit it again and see if there are any positives that I couldn’t pick up before. It’s interesting how one wo(man)’s perfume is another wo(man)’s poison. That’s the beauty of fragrance. Hope to hear your opinions on Winter Kitty. I agree on the naturalness of For Strange Women scents, it doesn’t have that fake chemical smell that some perfume oils have. Thanks for the link! I’ll definitely check Poison Apple Apothecary. Interesting. I get a much heavier hit of sweet basil and rich oak moss, and I like it. The rosemary, to my nose, is a supporting note.